Back-to-school season is upon us. For many, it can be a time of anxiety and anticipation. 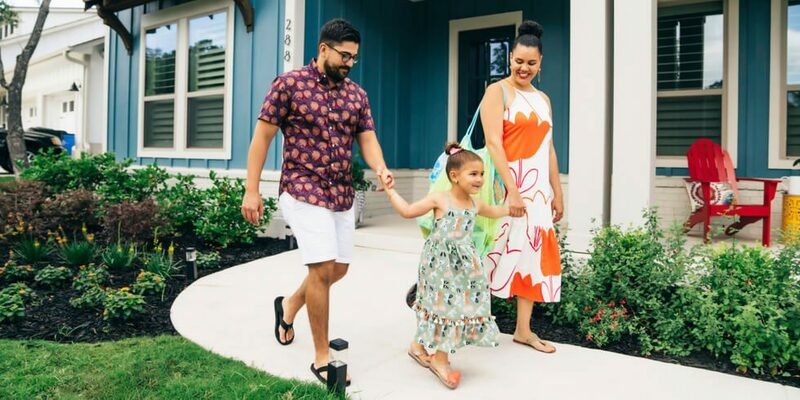 Fortunately, Headwaters residents know that between the fantastic amenities and top-performing Dripping Springs school district, all they have to worry about is soothing the kids’ first day jitters and conquering that impossibly long school supplies list. HW Central is where your children will start and end their school day. Just a short walk from most homes, this is where Headwaters’ kids gather every morning to wait for the school bus, socialize with neighbors and munch on delicious snacks and pastries from The HUB for breakfast. The comfortable atmosphere and smiling, familiar faces of our Lifestyle Staff make it a great place to start each day, where parents don’t have to worry about their kids waiting in the cold or the rain. And with plenty of indoor and outdoor seating and complimentary Wi-Fi, HW Central is also the perfect spot to tackle some homework after school. After a long day of learning, kids need a break to burn off some energy and unwind. At Headwaters, there are endless possibilities for activity and adventure. Take the whole family for a sunset swim at the split-level, infinity-edge pool and splash pad. Let them explore the historic Hazy Hills Mansion and more than eight miles of greenbelt trails with their friends. Practice for the upcoming sports tryouts on the manicured playfield or organize a playdate at the KOMPAN® playground. Our Lifestyle Director even plans some special events just for the kids, like pizza parties, movie nights and craft workshops, so there’s always something exciting to look forward to. Headwaters was thoughtfully designed to offer something for everyone, from the wave on the bus on the first day of school to the wave across the stage during graduation. To learn more about Headwaters’ amenities and lifestyle, join our Interest List or schedule a tour.